New Voices in Japanese Studies – A peer-reviewed academic journal for emerging researchers published by The Japan Foundation, Sydney. 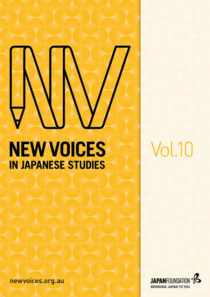 New Voices in Japanese Studies is an open-access, peer-reviewed interdisciplinary journal showcasing research by emerging scholars in the humanities and social sciences. Contributions are welcome from graduate researchers with ties to Australia or New Zealand.